December 7th never happened in my lifetime. Losing a day is a strange phenomenon that occurs when a traveler flies east to west and crosses the International Date Line. 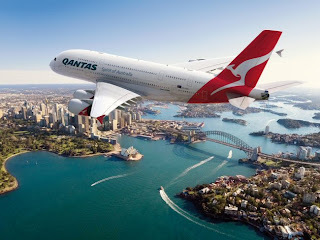 This trip began in December 1999 when Jeff and I, two Americans, flew to Australia to celebrate the turn of the millennium in a very big way. A decade later, it seems not much has changed, especially off-the-beaten-path. 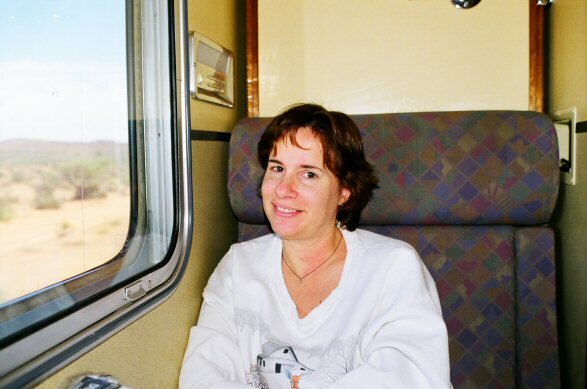 Follow the blog as it takes you on a journey by train, plane, and automobile - a journey across a continent similar in size to the continental United States. An American in Oz is my story. Arriving in Sydney that warm summer day, the first item on our agenda was to find a place to stay the night. Jeff and I flew into the country with only one reservation in place, to take a train from Sydney to Perth the following morning (distances and locations explained in the next blog). We were traveling on a "No Plan" plan and fortunate to have found the Great Southern Hotel in Sydney. It was close to the train station and offered ideal accommodations. 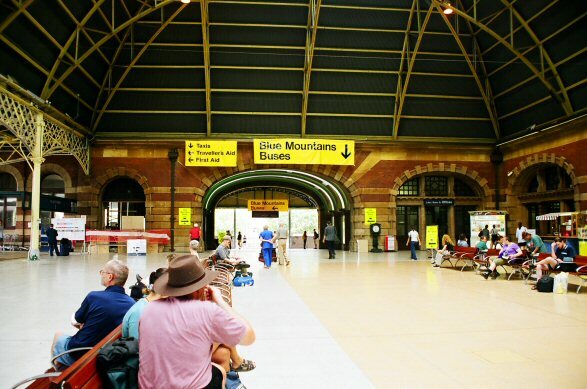 To the left is a picture of the Sydney railway station. After a good long sleep, Jeff and I packed up our stuff and headed for the train station. We were to depart at 2:55 pm sharp, but an accident on the tracks caused a delay. We weren't in a hurry, and the conductor promised we would make up the time along the 3-day journey coast-to-coast. 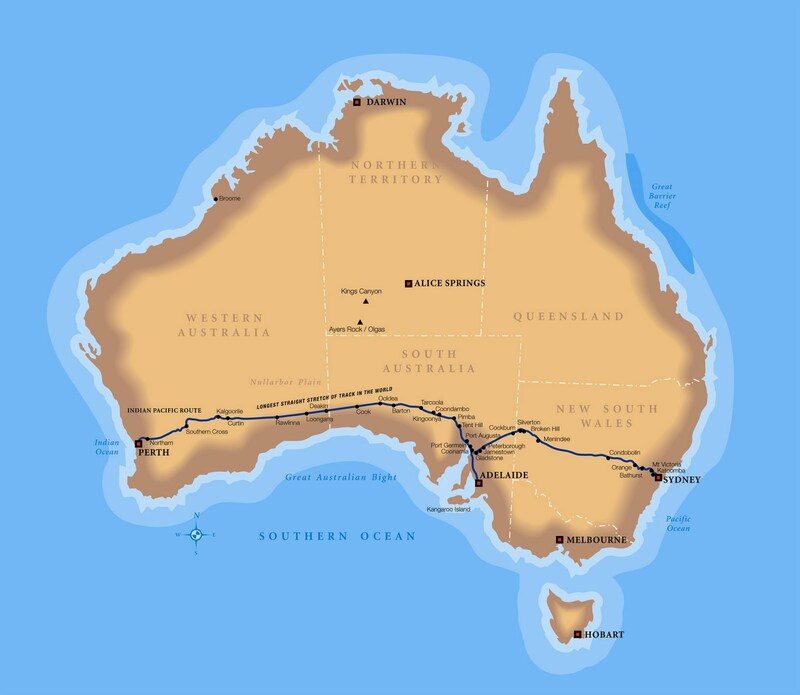 The Indian Pacific Railway would take us from the Pacific Ocean to the Indian Ocean, the same distance as traveling from Savannah, GA to Los Angeles, CA. I saw my first kangaroo the 3rd day into the trip. I borrowed this picture from the Indian Pacific Railway archives. I was too excited to remember to take a picture, but this is what it looked like, not much out there except sand, shrubbery, kangaroos and emus. It was great. Sydney, Australia is 14 hours ahead of the eastern United States, so it takes awhile to adjust to that kind of time change. 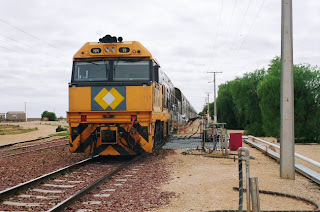 Heading west via the Indian Pacific Railway means we're getting closer to our own time at home by a whole hour. Not a big difference in the grand scheme of things. It may have been December, but was summertime in Oz, because the seasons are opposite to ours at home. Below is a picture of me at the start of the trip, a bit jetlagged. There will be photos throughout, and you'll be able to see the progression of happiness on my face. 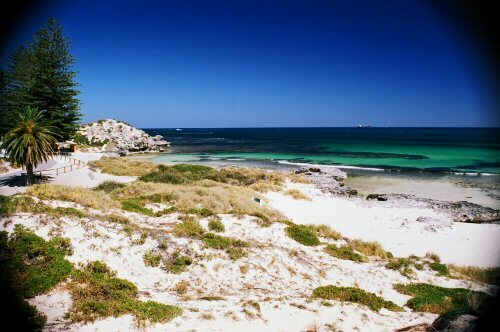 We're moving along out of the state of South Australia (SA) and into Western Australia (WA). Not much can survive in the southern outback, so my kangaroo count is dwindling. Here is a map of the train route. To enlarge, click on the picture. When it goes to a new screen, click on the picture again and you'll be able to find Cook and all the other train stops. On this 4th day, we stopped in the small town called Cook (pop. 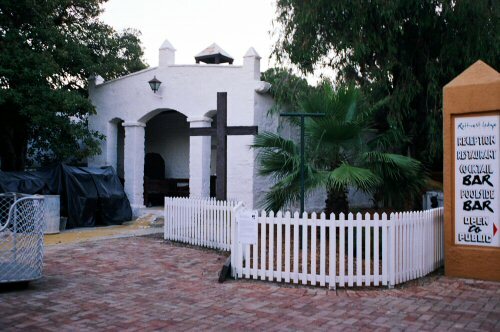 3 or 4) on the western edge of SA. Below is a sign that greets the tourists. It's in typical outback condition: rough around the edges, rusting, and filled with Aussie humor. The second photo is of our train. I didn't see a road into Cook, so I'll assume the train is the only connection to civilization the town has. I'm just beginning to get a sense of how desolate it is in the outback. This was a short layover, just long enough to stretch our legs and take a look around. All aboard!!! It's time to head deeper into the Nullarbor Plain in Western Australia. At 9:30 am, the train rolled into Perth, the capital city of Western Australia (WA), aka: "The Dallas of Australia." 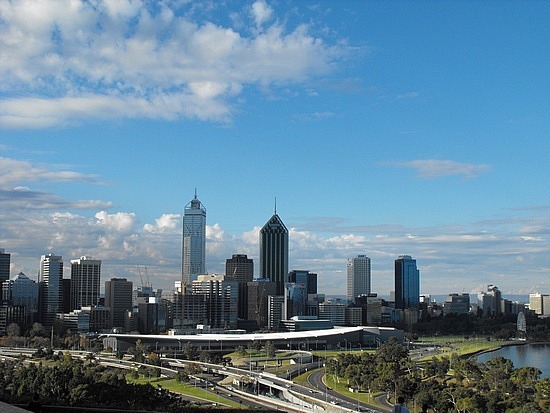 Perth is one of 8 capital cities in Australia, WA being the largest state in the country....and the world. WA covers a good third of the continent. In the USA, it's the equivalent of the space between the Rocky Mountains and California, maybe more. SW Australia is filled with forests, vineyards, and in these December summer months, the temp is a perfect 78 degrees. While in Sydney, Jeff and I made reservations for a place to stay in Perth. We wanted to ease into our "No Plan" plan with a bit more grace. A van was waiting for us at the Perth train station to take us to Britannia YHA (youth hostel) on William Street. As much as I enjoyed the 3-day train ride, it felt great to be able to walk around, take in the fresh air, and see the sights. 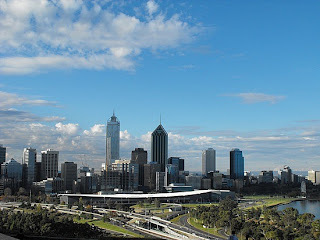 Perth is a gorgeous city, and what I now call, the gateway to the world. We had a lot to see and discover, but first on our agenda was fresh food. We ate, we napped, and woke up at 2:30 am. The day was gone. I thought we had adjusted to the time change, but it would take another day to get in sync. Here's a photo of the hostel where we stayed. Great location. We could walk to everything. 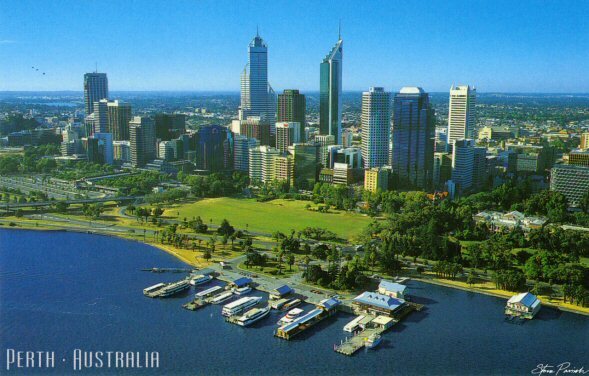 Perth, the capital city of Western Australia, sits along the banks of the Swan River. The Swan River flows west into the Indian Ocean. 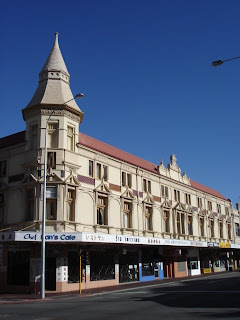 The first item on our agenda was to figure out how to get up to the town of Exmouth, gateway to the Ningaloo Reef, our first of three planned destinations on our journey through Oz. When I look at the continent, I see a dog's head. Perth sits on the "dog's mouth" and Exmouth sits on the "dog's nose." 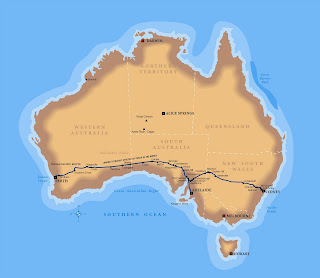 Uluru (Ayers Rock), in the center of the country, and the Great Barrier Reef , along the northeast coastline, were the other two major points of interest. In a country the size of the continental United States. We had 4000 miles to cover. On a budget and in a foreign land, we also had a lot to figure out in our "no plan" plan. Jeff and I took another walk through town to check into renting a car. But before taking care of business, we made arrangements to meet with our new friends, Jaime and Laura, at our hostel. (Jaime and Laura were on the train ride with us.) 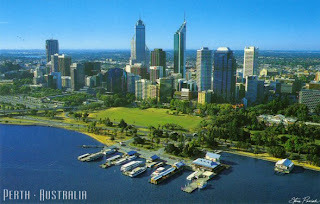 We explored Perth and ended up back at their hotel on the Swan River to make some phone calls. Being Australians, they helped us ask the right questions about car rentals. It turned out, renting a car in Australia is very expensive, and the drive we were planning to make was a long and lonely one across the western outback, 9 hours to be exact. It was going to be like driving from Los Angeles to Eureka, CA, almost to Oregon. So Jeff and I decided to fly north to Exmouth. Once we were there, we would have to figure out how to get to Uluru and then to the Great Barrier Reef. But no sense worrying about the cursed how's in a "no-plan" plan.....yet. We were still enjoying the beautiful city of Perth. Jeff and I began the day with our sights set on a flight north to Exmouth, WA. By the end of breakfast, we had changed our minds. 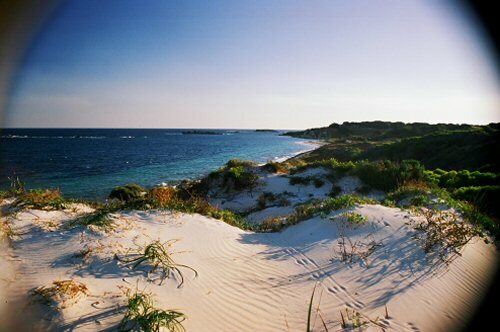 Perth was beautiful and Rottnest Island was calling. If we were going to fly out of Exmouth to the center of Australia, destination #2, then this would be our last day in southwest Australia. 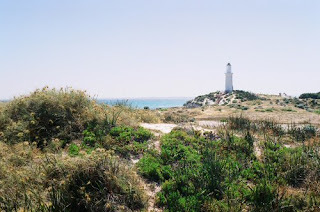 We had heard about Rottnest from a few Aussies we met on the train ride from Sydney, and the locals in Perth highly recommended we check out this vacation destination. Knowing we might stay overnight on the island, we packed accordingly and stored the bulk of our belongings at the Britannia YHA for safe keeping. It was an easy walk down the hill to the Barrack Street Jetty where we boarded Oceanic Cruises for the 25 minute ride out from the mainland. Dolphins led the way. When we reached Rottnest Island, I made a connection that made my knees go weak. I realized that I knew about this spot months before we left the 'States. I had seen a movie titled Under the Lighthouse Dancing co-starring Naomi Watts, a true love story, and the scenery was breathtaking. I made a note to one day, someday see it. Once I realized where we were, I knew we would spend at least two nights. A second pleasant discovery was the absence of cars. Rottnest is a tourist destination, and the rules allow for only service vehicles with the rare exception for a private one. Several buses run continuously to get us where we needed to go. Jeff and I snorkeled, walked the beaches, saw quokkas, and enjoyed the day. Quokkas are "rat-like" kangaroo-like marsupials, carrying their young in a pouch. 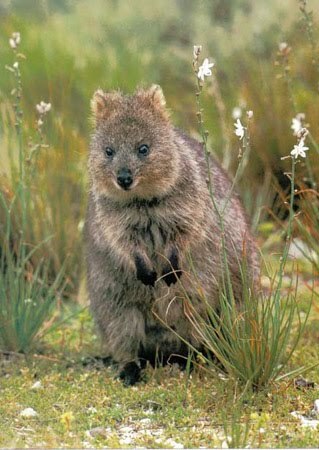 The name Rottnest comes from an early explorer mistaking the area as a "rat's nest," but quokkas are definitely not rats. This is the famous island quokka. They're cute, friendly, and DO NOT FEED THEM! as the signs post. The photo below shows quokka tracks on the beach. Seen in Under the Lighthouse Dancing is the historic church (below), and the photo below that is of one of several lighthouses giving the movie its name. I've had many different careers in my life starting with a lemonade stand at age 10. Babysitting followed, then lifeguarding, surveying the mountains of Utah and Wyoming, and selling stamps in Alaska and Florida. After years of government service, I became a freelance bookkeeper and professional organizer. That's when I began studying the serious business of happiness. It was time to look inward, into the final frontier, and figure out what I really wanted. I remembered my love of writing and saw that I've been a writer since the age of 12. Today, I am an author and speaker - happily married with strong connections to family and friends. My journey inward led to the realization that it's okay to change course, more than okay, because sometimes the course changed me. Day 11 of 55 - Still in Fremantle! Day 24 of 55 - HAPPY NEW MILLENNIUM!!! Writing a book can be stressful! Day 46 of 55 - The Great Barrier Reef! Day 51 of 55 - All Aboard the Queensland Railway!